This is tutorial for downloading AADHAAR CARD from website. The downloading part is easy but the Validating Signature Part is a little complicated so I have tried to simplify the same. You will need a stable internet connection, an Adobe reader latest version, get it here. , your reciept issued by the authorities during registration process. This reciept is important as it contains the Enrolment No., date, time and the Name of the applicant. When you have these ready, go to eaadhaar.uidai.gov.in, there enter the details as given in the fields. Enter the date in mm dd yyyy format. Enter the name of applicant as it appears on the reciept. Enter the Pincode no. You will get a fresh page giving your mobile No. as ****420(your no.) and ask you to confirm, if the mobile number is correct, press yes. When you confirm, you will get a One Time Pass (OTP) on your mobile. This number has to be given in the next field. After entering the No. press submit. You will start downloading a PDF file containing your AADHAAR Card. a sign called "Validity Unknown". 1) Right click on the ‘validity unknown’ icon and click on ‘Validate Signature’. 2) You will get the signature validation status window, click on ‘Signature Properties’. 4 ) Verify that there is a certification path named 'CCA India 2011'. This identifies CCA India as the owner of the digital certificate that has been used when signing the document. 5) Mark the certification path named 'CCA India 2011', click the 'Trust' tab and then 'Add to Trusted Identities'. In the TRUST field click all subfields. 6) Answer 'OK' to any security question that follows. 7) Check(√) the field for 'Use this certificate as a trusted root' and click 'OK' twice to close this and the next window. 8) Click 'Validate Signature' to execute the validation. "Validity Unknown" changes to Validity Known. This may take a long time so don't panic. Once it changes to Validity Known Print your AADHAR CARD. PS many of readers have complained about Adobe not validating even after 50-60 tries, I request you to abruptly cancel the validating process when Adobe validates the sign with its servers. It works. The HPCL Gas Co, one of India's largest gas cylinder providers has commented on my blog about the facilities available to users to update their HPCL registration with Aadhaar Card. If you are a HPCL gas user please make use of the hyperlinks and register your Aadhaar Card with HPCL. This will help you in receiving the subsidized part of the Cylinder in future. I have also posted a tutorial for acquiring the Indian Nation Passport, do visit it here. Thanks Roshan, hope it helped you. Download the latest version of Adobe. And keep doing it upto ten times and then cancel the operation which says updating the signature with server, you will get the results. It happened to one of my readers and it got solved by above method. Great.. It helped me a lot...!!! Mr.Pujari, I have already sent you a email, I could not u'stant your problem, kindly elaborate. @Malli thanks a lot, your words really mean a lot to me. Thanks for all the needful information , i followed as u mentioned above and validation process completed in just 5 seconds . Thanks Teja, Anon for your comments @Vijay is you problem solved. Pls let me know. Is this all we get or still have to do something to get the actual signature? @Bugz, the image you uploaded is enough, take a colour printout of the card with THAT signature, you can use it anywhere. Be sure to take atleast 10 printouts. @Md Abdul, Mr.Abdul had you given your mobile number during the process or have you changed your mobile since then. If so I cant help you. The mobile number given at the time of registration is used by the UIDAI to send you the OTP. Thanks for posting. Really very very helpful. @Anil Prajapati, Sir divulging personal information is not advisable even to me. If are having trouble downloading the card post the details of your problems, I will help you out. Thanks for giving the info. But in my case i have validated the file and all i can see on my file is " Signature Valid with (TICK) Mark (GREEN) digitally signed by kharakwal amitabh 04/03/2013" ...Can you tell what should i do in order to see the pdf file..
@Venu, This seems to be a software problem, maybe you have pirated OS on your system, try downloading it on a Genuine Windows PC or laptop. That should solve your problem. Please let me know if it doesnt solve your problem. @Venu Sorry I answered so late. Thanks for this information. In your article you have classified the use of this technology based on the variety of processes. Thanks for posting this useful info. How to update Aadhar card details for hp gas and update KYC details in hp gas? Thank u for guidance and help. I got my AADHAR CARD within 1 min with help of yr post.It is very very easy. Thanks Again. When is DA from 01.01.13 expected to announce. If there is any news please tell. Thank you, the tutorial you have given is very useful. yr tutorial helped me a lot.Keep posting n thanks. Thanks Everything is Possible, hope it helped you. Please subscribe to my feed to get instant updates. How long it will take to get a adhaar card updated in portal site, after our registration. I have registered on 07.05.2013 for adhaar card. Now I try to download, it is saying "the EID card is still not with us". When can I download my adhar card from portal site? Hello Satish, have you typed in the details correctly, the time and date should be in same format as it is on the registration receipt. In the meantime I would say that it is too early because you have applied only recently. Wait for another 15 days and try it in the second week of June, they take upto 20 days for uploading data. 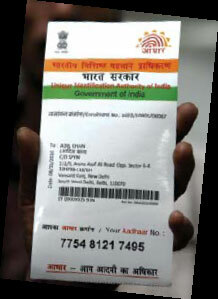 I have registered to adhaar card on 7th May 2013. Now I try to download it from portal, it is saying that "the EID card information is not with us. come back after sometime". So, how long it will take to get updated the Adhhar card information in the portal site. thanx for the help..gr8 tips indeed..!! thanx for the hepl..a gr8 post indeed..!! Thanks Lighthouseprince, do keep visiting my site for the latest news. i have validated the file and all i can see on my file is " Signature Valid with (TICK) Mark (GREEN) digitally signed by kharakwal amitabh. I have a genuine Windows OS on my laptop. Has anyone else got such a problem and resolved? Sachin I have reported this problem to the UIDAI officials but have not received any reply yet. It seems to be a problem faced by many due to non resolution of signature within UIDAI's infra. I am using Genuine Windows OS on my laptop.Has anyone else got this problem successfully resolved? I am facing the same problem as Venu and Sachin. The certification path shown while validating the signature in my E-Aadhaar pdf is: "Kharkawal Amitabh" instead of "CCA India 2011" mentioned in the 'Help' section of the Official UIDAI website. Please do let us know once there is a solution to this issue. Well Sagar as said earlier I have already sent two mails to the UIDAI tech centre but have still not received any reply. Sagar, if you could mail me scanned copy of your registration to support@comboudates.com, I could try it on my PC and tell them the exact problem you guyz are facing. i wanted to know that there is any problem if the signature is not validated?? Shilpa sure there is need to get the signature validated. How else would the Aadhaar card be valid anywhere. If you are not using is then it is ok to just save it for reference. But if you want a printout and want to use it anywhere, the signature verification is a must. Hope that clears your doubt. im getting "SIGNATRE VALID" message in pdf, now what to do ??? Like several others I am also getting just a logo "Signature Valid" with a thick green tick mark. I don't see my card or any details. I also use a genuine windows and genuine acrobat (version XI Pro). I also tried opening on a linux machine with kpdf, but same problem. Kindly advise. hi i have my aadhar card but my family member has lost it.and we dont have acknowledgement slip too.how can we again get the aadhar card? I have done all process and pdf display the signature Valide but the e aadhar card not display.. I am try to reopen but the information is not display. I am tired of seeing "INVALID INPUT",when i try to take e-aadhar.since 3 months it is showing like that. I have been facing the problem to take e-aadhar.I am tired of seeing"INVALID INPUT" when ever i try to download aadhar.i have been facing this problem since 3 months. I had received the Aadhar and updated some wrong data online and it is verified. Now how can I take the printout of the corrected Aadhar? Hari, Sir you mean to say you had input wrong data and got the verification done? I don't know what I can do but will try to scour the net for reverifying data. Hi vijay,Im sudha, I am facing the same problem as so many facing here.The Pdf document shows "VALIDITY UNKNOWN" .I gonna to validate it, While doing so with ur instructions, I struck when The certification path shows me: "sandeep Bhardwaj" instead of "CCA India 2011" ...pls let me knw what is the problm...and help me to validate it..
Hi Sudha, when you click the trust select all trust identities and then press validate. When that happens that you try it out for 10 15 times and CANCEL the validating part inbetween when it is communicating with its servers, that has helped. In the month of April we had done the Aadhar Card enrollment which was happened in our village, on that the enrollment officer was not the enrollment slip ,when we asked he told we will give it to Village officer ,after 10 days when we asked village admin officer he told i have not received any data from enrollment officer. From on that day onwards we are following with the VAO so response. So how do i get the number or slip. You may contact them and express your grievance. I assume that all people of your village have not received the enrolment slips. So I would request you to contact them and thereby help your whole village. when i try to download aadhaar card it is showing "sever problem try after some time".............i am getting this from last 3 days..
i have entered a different mobile number for downloading e AADHAR, it has sent OTP all the times but can not download as it says some unknown error has occured. pl suggest how to download my AADHAR card. Thank yo so much sir.It was very helpful..Now I downloaded my e-Aadhar successfully and validated signature also.Thanks !! You've made some fantastic points, I think all of them come under the importance of attention to detail, if you get that right you're certainly off to a good start. what if it asks for a password.? I downloaded my eaadhar online but signature says "signature not verified, digitally signed by so and so". Is this valid aadhar, can I use it? PLease help. This is a really nice and informative post. Thanks a lot for this useful information and appreciate the effort you would have spent in bringing things to a single board. After reading your post I went on to the e-Aadhaar site to download my Aadhaar card as a soft-copy (I already have my Aadhaar card) but unfortunately, after many retries I am not receiving the OTP. Though one time I got lucky enough to receive an SMS having the OTP, but the moment I entered/used the pin my session expired and the same waiting process started all over again. By the time of writing this comments to your post, I had already tried generating the OTP approximately 5-7 times; all effort in vain. I know that Md Abdul reported a similar problem earlier and to whom you mentioned that probably he might either have changed his mobile number or had given a different number at the time of registration. But for me, as I was lucky enough to receive an OTP once in my 7 tries so providing incorrect number at time or registration or have change my number would not be the cases. Would appreciate if you could help me out of this fix and I would need my Aadhaar card to register for HPCL Gas Co. Looking forward to hearing from you and thanks in advance. hi sir , i want to downloa d my adhar card but i donot have time on my card only date is avaiable ..
in aadhar it s shown as signature not verified. What should i do now. I have tried to download E-Aaadhar card. Initially (2 years back) I was able to download. But later, I started getting the message "You have Exceeded Download Limit 10 for aadhar number "XXXX XXXX 6276". I have complained about this to UIDAI, over the phone, thru mails. But the problem still persists. Any solution? I don't see any logic behind putting a cut-off limit of 10 times downloads per Aadhar Number. Found certification path named UNIQUE IDENTIFICATION AUTHORITY OF INDIA instead of certification path named 'CCA India 2011'. How should I validate my E-Aadhar? heelo sir,,,downloading is not starting even i entered otp correctly and it shows no error. hello sir ,,downloading was not started even i entered the otp correctly. Found certification path named UNIQUE IDENTIFICATION AUTHORITY OF INDIA instead of certification path named 'CCA India 2011'. How should I validate my E-Aadhar?? ?